The Geek Pub Quiz takes place on the 3rd Sunday of each month with loads of questions covering geeky & nerdy topics such as Comic Books, Movies, TV, Videogames, Board games, RPGs and any other pop-culture in between. You can find us every month at Major Tom's Social and follow us on Twitter (@GeekPubQuiz) to see themes, hints and more. We have a picture round, geeky general knowledge round, a specialist subject round & end on an audio round. We also hold a raffle & have over a dozen regular sponsors! Come along and you could win some awesome prizes! As part of Women On Tap festival we will be hosting live music from ace female performers. We will also have a fab range of beers produced by women head brewers. Make sure you also check out what’s going on in other venues around Harrogate & Knaresborough for the brilliant Women On Tap festival. One of our favourite new breweries @whiplashbeer are coming to visit us on Tuesday 26th February from 6.30pm for a Tap Takeover and a beer pong tournament. We will be showcasing five of their keg beers and the lads will be around for a chat. If you are up for joining in the beer pong tournament we have limited places available (teams of two) so drop us a DM or email us at info@majortomssocial.co.uk . Lots of prizes up for grabs and a trophy for the winner. Entry cost is £10 per team of two and includes your first pitcher of Whiplash Rollover IPA for pong. 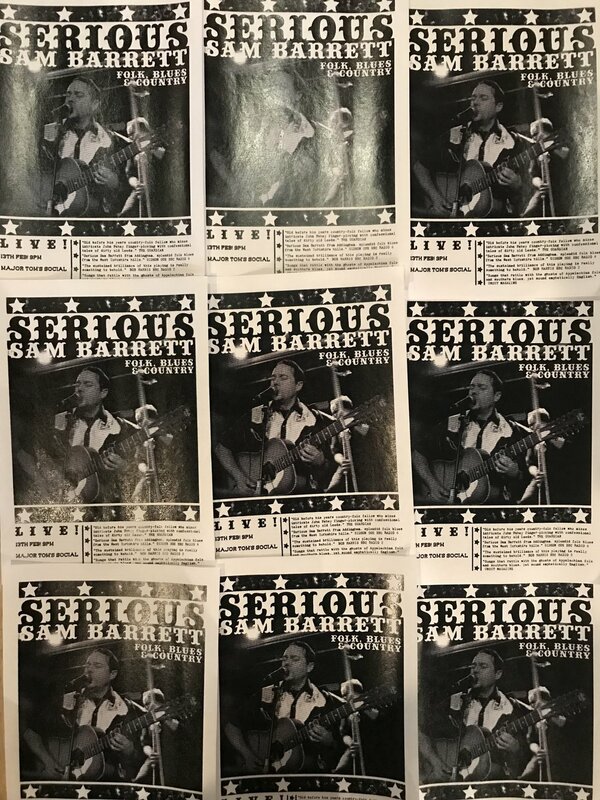 We welcome the return of our friend Serious Sam to play a set of amazing raw & honest folk . We will also have dancing space ! ….. Two double Havana rum & Ting for a tenner …. Pizza 'til 10pm . Come celebrate New Years Eve. We will be have drinks offers, pizza til 10pm and will transform the bar into a full on disco for the evening. We might even push the boat out and buy a few party poppers! Free entry and no ticket needed. 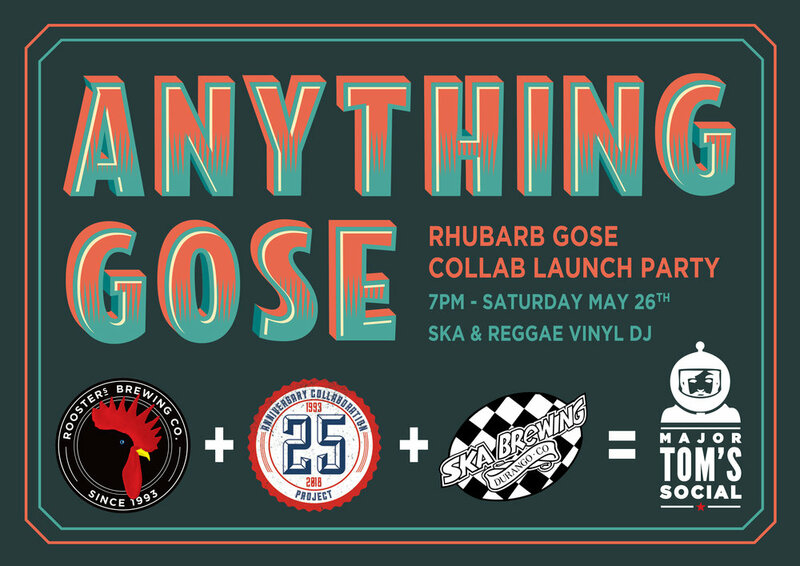 As part of Roosters Brewing Co.’s 25th Anniversary collaboration series they have got together with Colorado craft beer legends; Ska Brewing to brew some beautiful beer! It's a 4.2% Rhubarb Gose. DJ Clive from Two Sevens sound system will be djing a selection of reggae & ska vinyl into the late hours. Burnt Mill is a new brewing project focused on producing fresh, unfiltered beers from our brewhouse on a Suffolk farm. As part of the Women On Tap festival we will have a full keg tap takeover to showcase their awesome beers. Head brewer Sophie De Ronde will also be along to discuss her experience & pitfalls of being a brewer in the beer industry. As part of the "Women On Tap" beer festival we will be showing "The Love Of Beer" . Its an insightful film into the lives of women in the U.S craft beer industry . Film starts at 7.30pm and we will have 2 pizzas for £12 deal on. Make sure you rock up early to grab a seat. These days we only occasionally put live music on, mainly because we want to put musicians on that we love and find interesting. Martha Hill definitely fits into this and we are really looking forward to having her play at Major Tom's Social. Martha Hill is a Newcastle based singer/songwriter from Scotland. 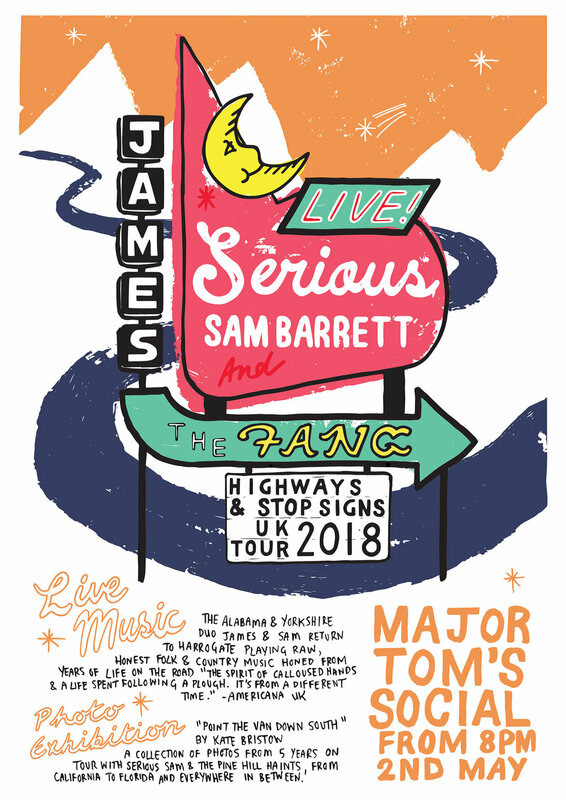 Accompanied by cellist Ceitidh Mac and multi-instrumentalist Sharon, Martha Hill and her band play a beautiful blend of genres, captivating audiences all over the country. With their roots firmly in folk and jazz, there is a definite timelessness and nostalgia to their music, but since branching out into electronic and pop music, they are far from traditional. Homage2Fromage Cheese Club is held monthly on the third Monday of every month. Each month the club offers a different cheesy theme. Vegetarian cheese is some of the most interesting, exciting and innovative cheese - often the most modern and forward-thinking cheese-makers make their cheese veggie to appeal to the widest possible markets, but some older types of cheese are 100% vegetarian - we are exploring them all! There will be some surprises, some quirks and some old favourites that you never thought were actually fully veggie! Soft, blue, hard, all sorts - come along and discover why veggie is the way to go! "The aim of the club is to celebrate great cheese in an informal fun way - this is not about snobby cheese and wine tastings!" BACK BY POPULAR DEMAND - MTS GIRL GANG HOUSE PARTY! AND we will have DJs Ben and Jack playing all girl, all night party bangers! It's the last bank holiday of the year, LETS PARTY!! "Board Game Guy" will be there with an awesome hand-picked selection of over 50 games, all for you to play for FREE! Expert teachers will be around to recommend ace modern games for you to try, or you can stick to the tried and tested classics like Snakes and Ladders, Scrabble and Guess Who. "Board Game Guy" will be around from 12-5pm, so pop in for half an hour or stay all afternoon! There will be lots of quick party games (like Sushi Go!, Cards Against Humanity and Ghost Blitz) that are perfect to dip in and out of and enjoy alongside our pizza and beer selection. So ditch technology for an afternoon, grab some pals and get down to Major Tom's for some good old-fashioned, sociable fun ! We will be welcoming "No Fracking Way" walkers en route from Kirby Misperton, North Yorkshire to Preston New Road, Blackpool. We will have live music from Joseph of Blyth Power and poetry from Tim Ellis. Come along for a fun evening and also learn a little more about the cause. More details in the facebook link below. STEVE ELVIDGE - Age of chance//Space vintage and retro - Live all-vinyl disco DJ set! On the back of successful supper clubs at The Brunswick in Leeds and North Bar, Harrogate we welcome back the Fiction lads to dish some more of their amazing and thoughtful food to you guys. Make sure you drop on by before, during or after your last minute Christmas shopping to get relax and enjoy some simple and amazing food and also grab a coffee while you are at it. Menu will be up here soon so keep your eyes peeled.